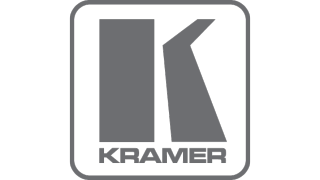 Kramer Electronics will be showcasing a solution for video- and audio-over-IP designed for IT environments at ISE 2017. The company will be displaying its full range of products and solutions tomorrow in Booth 1-F20. "The ease of deployment, flexibility, scalability, and use of standard Ethernet networks is aimed specifically at IT professionals responsible for managing vast IT device networks," said David Margolin, Director of Corporate Marketing at Kramer. Video sources are captured with Kramer KDS-EN6 encoders, managed by Kramer Network and distributed by Kramer KDS-DEC6 decoders.